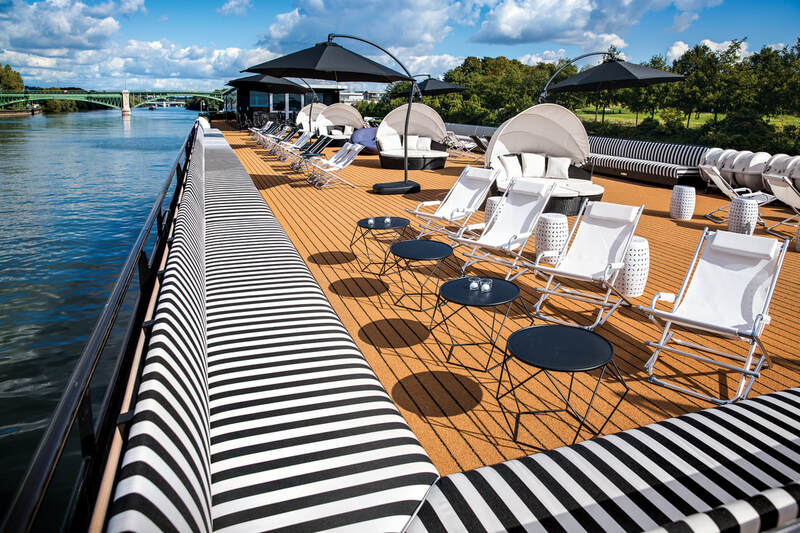 The World is your Canvas when Sailing on a Uniworld River Cruise. There’s a reason why Uniworld is the world’s best and most-awarded luxury river cruise line. Actually, there are several reasons, including their one-of-a-kind ships, outstanding service, the most all-inclusive amenities and so much more. 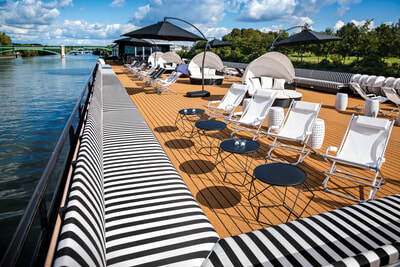 Many river lines talk about ‘inclusive’ cruising and the definition varies with each. 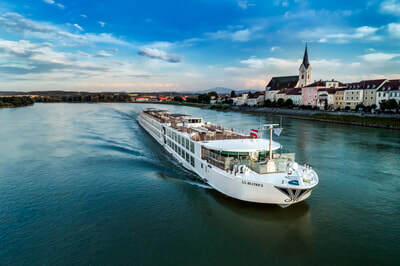 Uniworld delivers true all-inclusive cruising, beginning with included transfers and ending with included gratuities. Unlimited Wi-Fi, onboard dining, along with unlimited beverages, ranging from specialty coffees to fine wines and top-shelf liquors like Grey Goose, Crown Royal and Glenfiddich – everything is included along with a choice of excursions in each port, not just a standard city tour but an offering of unique, experiential – and exclusive – excursions on every itinerary. “No request too large, no detail too small” is the mantra for Uniworld service. Every staff member on a Uniworld vessel is trained by Red Carnation Hotels (also a part of the family). Butlers, who are assigned to guests choosing suite accommodations, receive the same training as those who work at Buckingham Palace. And it shows. The service is impeccable, warm and attentive but never pretentious. 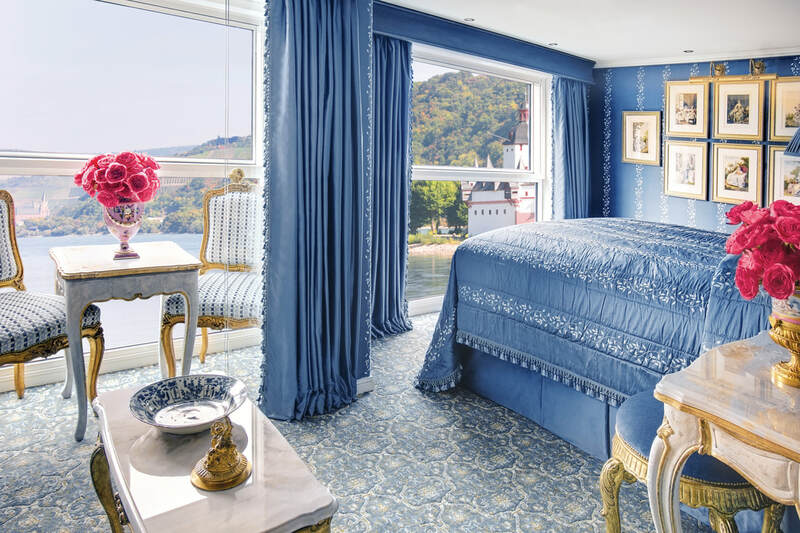 Each river ship boasts distinct décor, elevated by original artwork and authentic antiques – but it is the bed in each stateroom that best encapsulates Uniworld’s single-minded passion for delivering luxury. The handcrafted Savoir of England beds cost $25,000 apiece. They’re topped with 100 percent Egyptian cotton linens and there are six choices of pillow style. 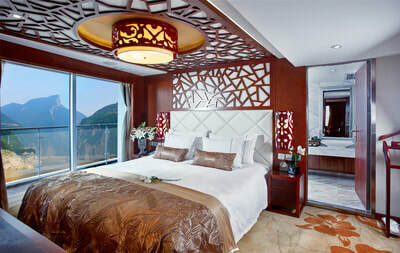 Uniworld knows that when it comes to service, the smallest details draw the brightest smiles. That’s why they go above and beyond to create unforgettable, personalized moments that you’ll cherish long after your cruise is over. 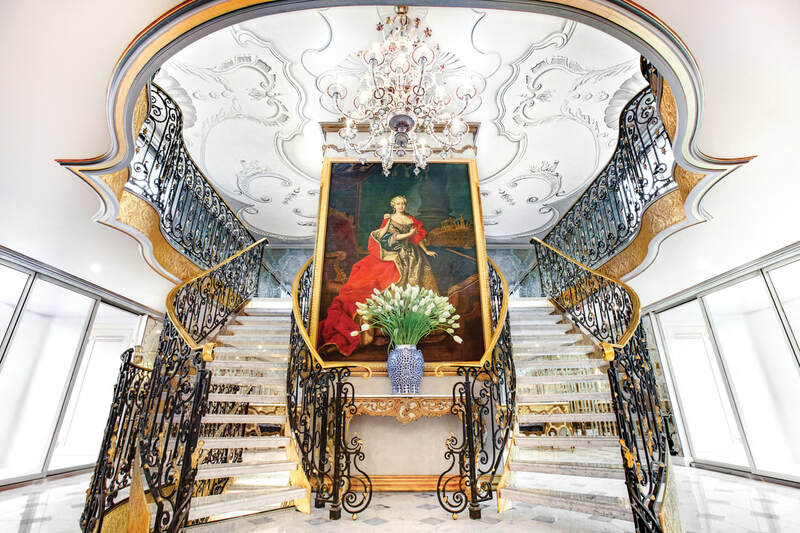 When you board one of Uniworld’s elegantly appointed ships, you’ll experience what it means to indulge, relax and delight in some of the world’s finest accommodations, while they take care of every detail. One of a kind is what Uniworld does best, which is why they’ve crafted excursions exclusive to their guests. With multiple options to choose from throughout the day, their included excursions will immerse you in the authentic culture, sights and cuisines of the places you’ll visit. Pedal along on a Let’s Go bicycle tour. An onboard fitness center on each ship means guests can take wellness seriously with full-time onboard instructors who lead exercise and wellness classes. Experience a taste of your destination at every meal with delicious five-star farm-to-table cuisine. Many ingredients are sourced from local farmers’ markets and regional suppliers in the cities you’ll visit, then brought to life by the incredible Uniworld chefs. Pair your meal with the finest local wines, curated by our acclaimed sommeliers, or regional beers and premium spirits – all of which are already included in your cruise fare. 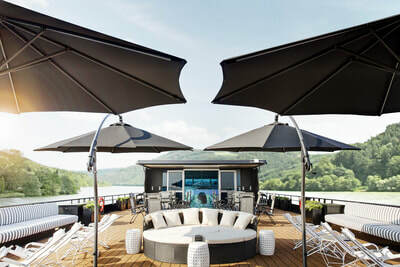 Ultimately this superlative river cruise experience is characterized by superior quality and the genuine desire of staff members to deliver memorable moments to guests.